It was a cool, cloudy day here in Seattle. So why not take a few pictures of black longwings? Yes. 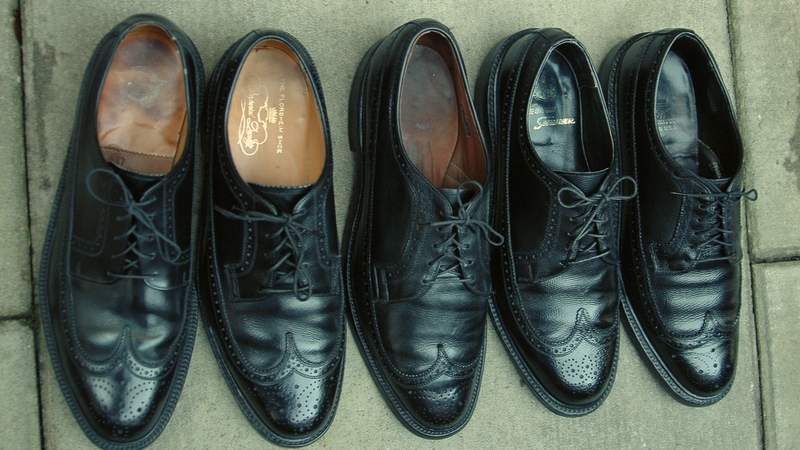 The pairs in the photo above are (left to right): French Shriner (1960s); Florsheim Kenmoor 92604 (1980s); Florsheim Varsity 20686 (1960s); Allen Edmonds MacNeil 9157 (1970s); and Hanover LB Sheppard (1980s). Okay, no one needs five pairs of black longwings but in my defense, a couple of the pairs are destined for sale. Before I sell them, I thought I would take some photos. 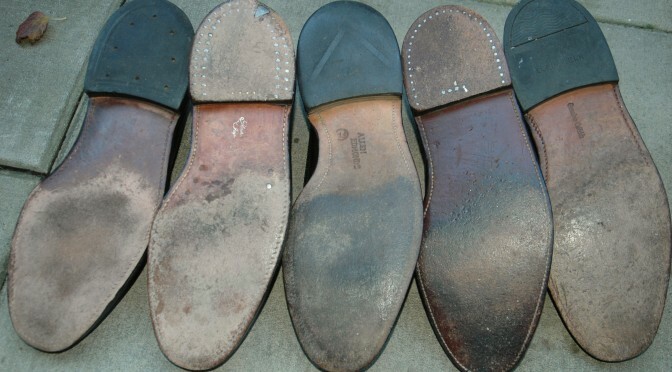 All these shoes are very well made. 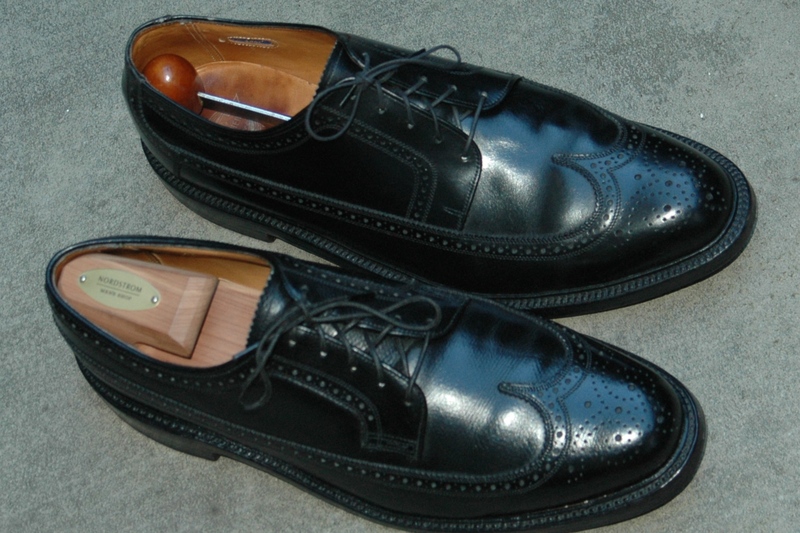 Comfort-wise, the Hanover LB Sheppard shoes are my favorite. They fit my feet great and the rubber heels mean that I can wear them in damp/wet weather. Which is what you need in Seattle. The best made are the Florsheim Kenmoor. Oh, I like the feel of the glove leather lining. The leather/v-cleat heel does make them a bit of adventure to wear though. The Florsheim Varsity look really cool (well, I think so), but they are the least comfortable. 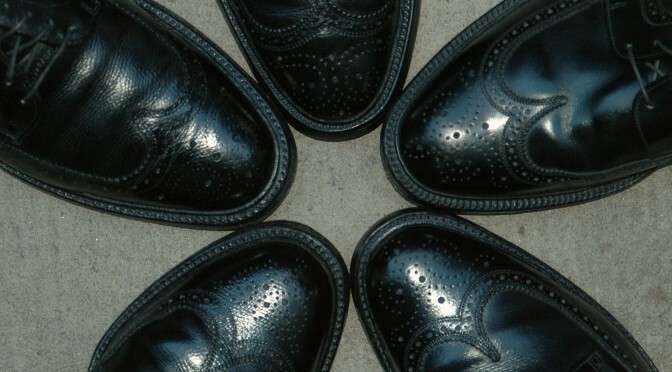 The shine of the French Shriner shoes always look great. I get lots of compliments on them. The MacNeils are new to me but an older model. 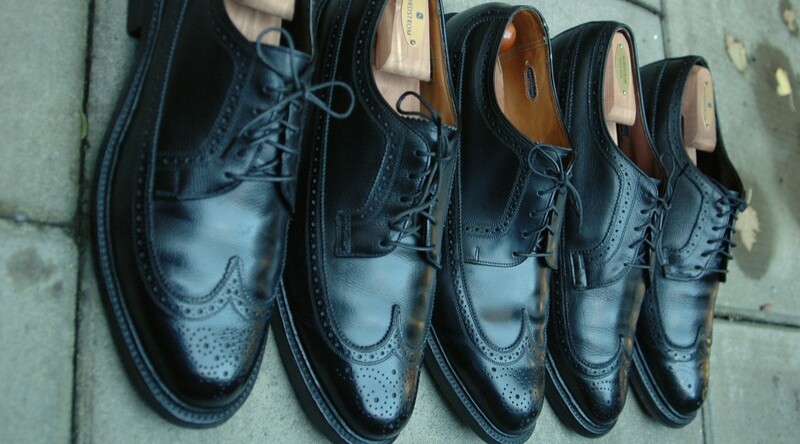 The leather is very soft and the shoe lining is superb. 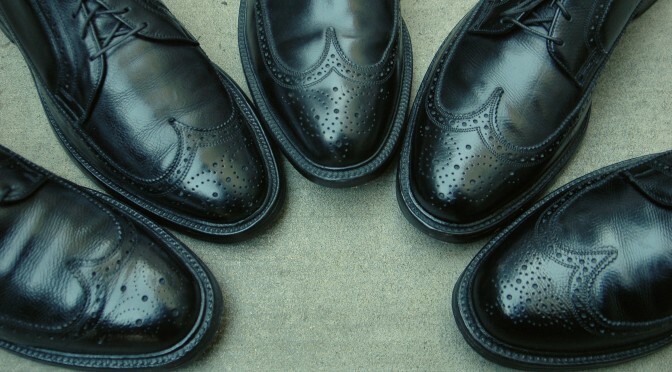 thx for those pictures for people addicts to “brogues blucher richelieu budapester wing tips gun shoes” ! Interesting. Do those black Sheppards have a 1-piece longwing? They have Hanover’s standard seam between the quarter and vamp, but mine (and most pictures I’ve seen of that model) also have a vertical seam where the wing meets the counter. 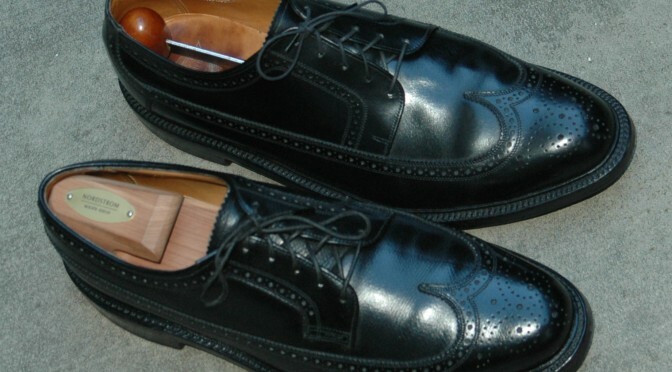 LB Sheppard is very similar to the Florsheim Imperial Kenmoor in construction. There is no seam between the quarter and vamp. I count 5 pieces in total for the upper. I haven’t looked at this article in some time. My photo skills needed some improvements. I bought a pair of 92604 for $20 on ebay. Very thick soles that were very worn. I had them resoled but the guy could not recork the midsole. They are very heavy shoes, I can’t wait to wear them in.